Apple is preparing new Mac laptops and desktops for launch as soon as October, Bloomberg’s Mark Gurman reports. Apple has prepared a new version of its entry-level MacBook Air and an updated iMac desktop for launch this year. The MacBook Air refresh will include a USB-C port, which hasn’t been included on previous MacBook Air models. The USB-C port is a reversible, next-generation plug that can be used for power as well as data transfer. Apple’s current MacBook sports a single USB port. The last time the MacBook Air received a full update was in March, 2015. Apple also plans to launch a new iMac in October, Gurman reports. Apple’s newest desktop will include options for improved graphics cards from AMD. 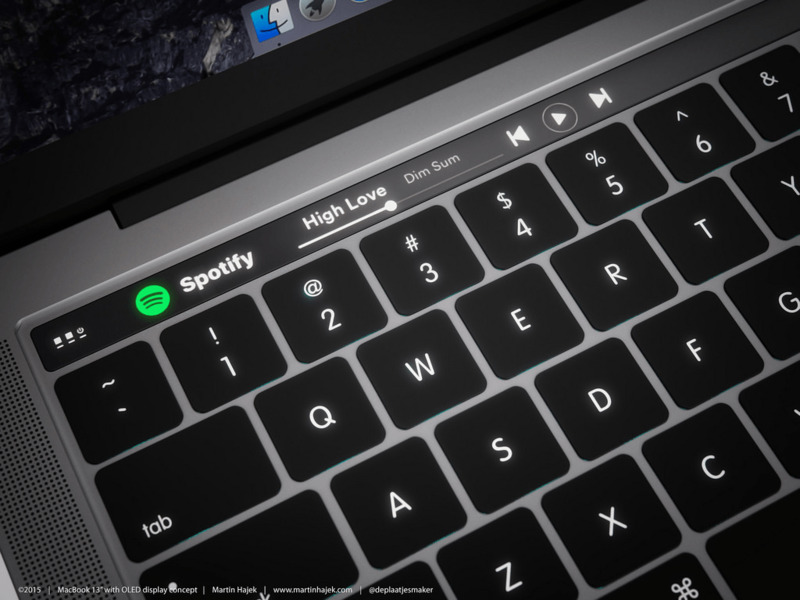 Apple has been widely rumored to release new MacBook Pros this fall as well, equipped with a touchscreen area at the top of the keyboard that’s separate from trackpad. That new feature is called the “Dynamic Function Row” internally, according to the report. The feature would allow specific buttons to be shown for specific apps. For example, “the iMovie video editor would offer controls for cutting clips and a more-precise volume slider,” according to the report. Apple is also working on a new high-definition “5K” monitor that will replace the 27-inch Thunderbolt display discontinued earlier this year. But some of Apple’s future iPad plans indicate that it thinks that its iOS devices can become the first choice for a productivity-focused computer. The report also indicates that Apple is planning a major free upgrade to its iPad software, possibly by next year. New iPad software upgrades may include expanded support for Apple’s stylus, as well as hardware performance improvements. Next year’s iPad might have a 10.5-inch screen, up from a 9.7-inch screen, for example. Apple will launch a new version of its iPhone and iPad software this fall called iOS 10. The company is also planning to reveal a new version of the iPhone at an event in San Francisco next week, although it is unlikely to show off its new Macs at the event.